Welcome to the Pond Water Treatments superstore! Keeping your pond water clean, clear and bright is important not only for maintaining the beauty of the pond, fish, plants, and backyard at large, but also for ensuring that your pond water remains healthy. Water chemistry can be influenced by a wide variety of factors, from debris to rainfall, and you'll want to have a full arsenal of safe, effective water treatment options on hand in order to correct the water balance as soon as it gets off. The sooner you can correct an imbalance, the easier it will be to get your pond back on track. 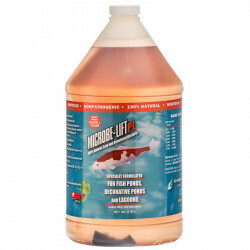 Pet Mountain's Pond Water Treatments store features top quality products from the most trusted names in pond care and water maintenance, including PondCare, Tetra Pond, Microbe-Lift, Weco, Pondmaster and more. 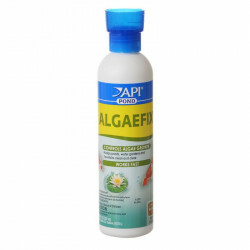 Pond Algae Control treatments help rid your pond of all sorts of algae quickly, eliminating string algae and the slimy green film that can ruin a pond's health and appearance. Pond Biological Treatments provide organic, enzyme-based treatments for a wide range of pond issues, using beneficial bacteria and other natural agents to remove sludge and other pond filth. 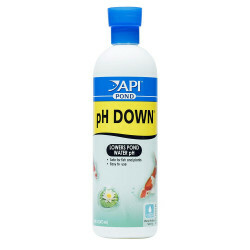 Pond pH Adjusters make it easy to keep your water's acidity at the perfect level for the health of your pond fish and plants. 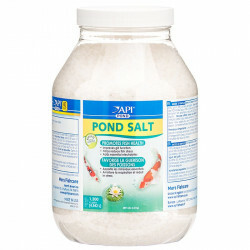 Pond Salt provides essential electrolytes fish need to survive with an all-natural salt, made from evaporated sea water. 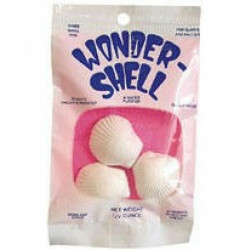 Improves gill function, protects against nitrite toxicity & reduces stress. Pond Water Clarifiers clear up cloudy water fast, filtering out suspended particles to restore your water's natural clarity and sparkle. Pond Water Conditioners, including Barley Straw, help neutralize harmful chemicals in pond water such as chlorine and nitrates, making it healthy and safe for fish. 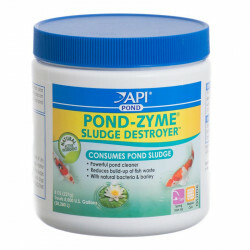 Pond Tint will safely tint water a beautiful shade of blue and provide the clear clean water you want in your pond.